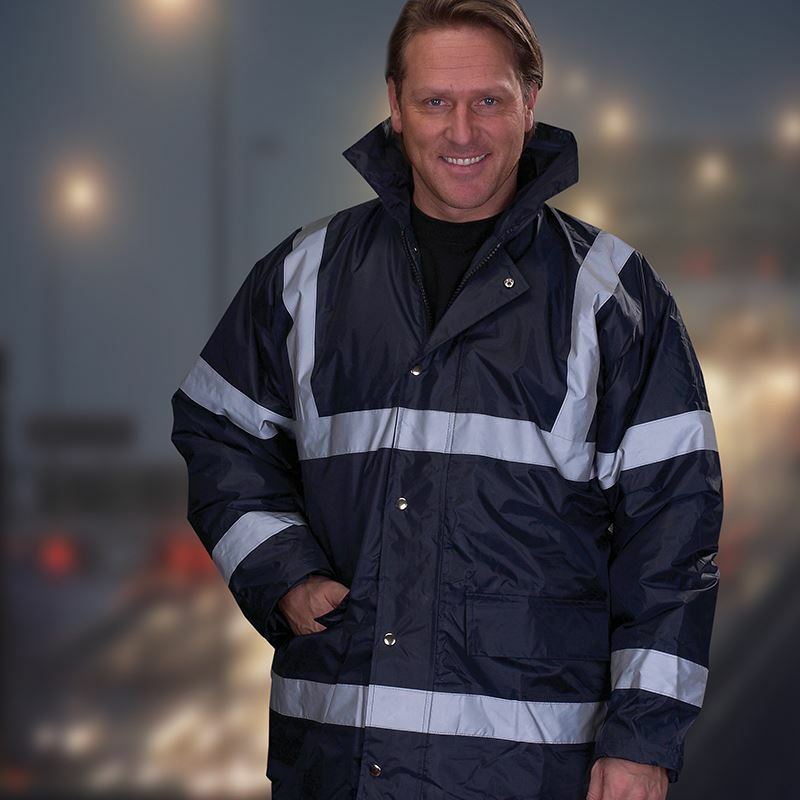 Size: S 36/38" M 40/42" L 44/46" XL 48/50" 2XL 52/54" 3XL 56/58"
Fully waterproof & windproof security jacket with the enhanced visibility for safety. 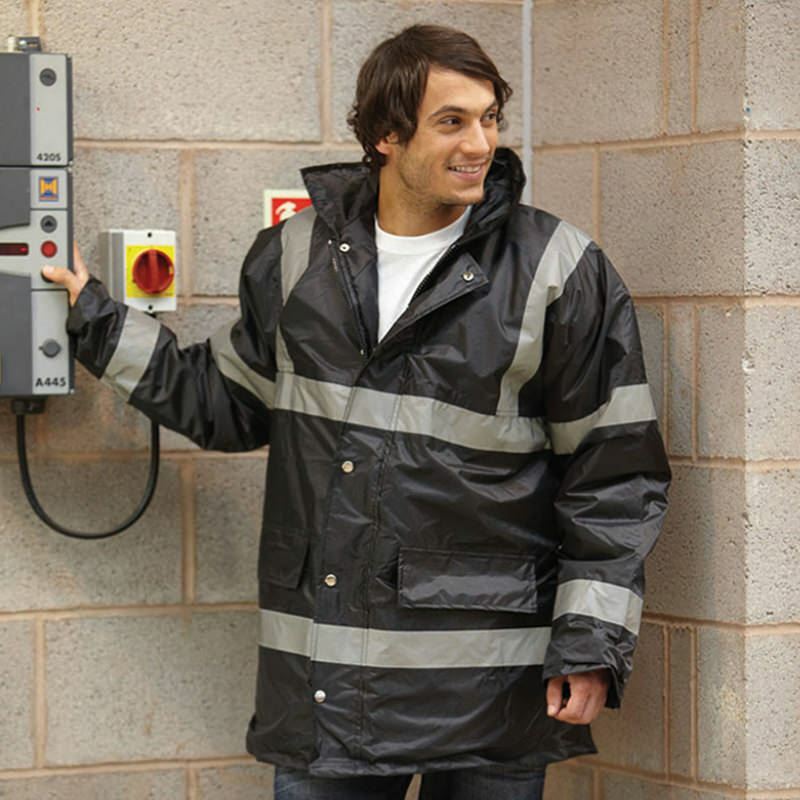 PU coated Nylon outer fabric with 190g quilted padding and Nylon lining. Heavy duty zip with studded storm flap. 2 outer pockets with over flaps. Elasticated Knitted storm cuffs in the sleeve ends. 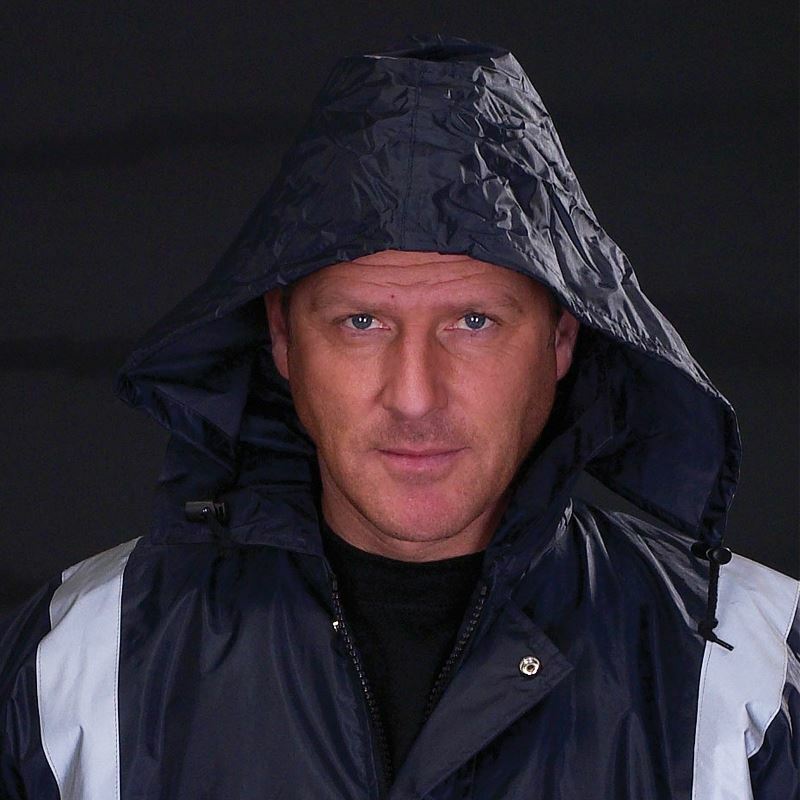 Step collar with a concealed integral hood. Inside breast pocket. Throughout stitched and taped seams to ensure waterproof. Matching trousers available.